High-quality professional boards with super white surfaces. * Cold press features a medium tooth surface that’s ideal for both wet and dry media including watercolor pencil and charcoal. * Comparable to Bainbridge #80. * Hot press features a super smooth surface perfect for detailed pen and ink or silkscreen work. * Comparable to Bainbridge #172. 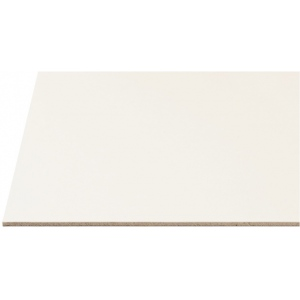 * Surfaces on all boards are securely mounted to warp-resistant chipboard with smooth gray reverse sides. The texture is cold press. The type is illustration board.